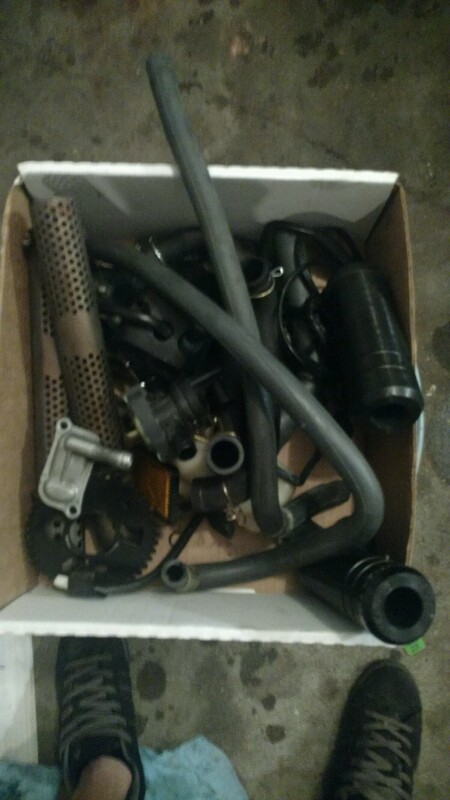 Like you when I first got the VTR I did a heap of things all at once. Over a period of time I have worked it out that it is best to do one thing at a time and experienced the difference. One of the biggest regrets I have with this bike is the fact that I modded the motor heavily in one go. Nearly 5 years and lots of money later ( Don't tell the Wife ) I have a great bike . I feel qualified to say that the VTR is a keeper as a host of bikes have been through the Man Cave since I have owned her. An 07 Tuono, an 848 Duc , a Tuono RSV4, a Bimota DB1 , an 012 Zx10, a TLS 1000S heavily modded with a decent back shock conversion and a couple of others that didn't compare. Be careful mate, you are on a slippery slope ! Good luck ! let us know what it rides like . Where did you find a +4 advancer? i ordered it directly from factory pro he said it was the very last one. i have a couple issues with my mods. i replaced the rear mcct gasket and it leaks **** so i will remove while my wife holds the crank in position and i think i will be ok with a little honda bond on it. i place a case breather filter directly on to the cover of the valve cover and its dumping oil all over the motor what have you guys done in the past? i cannot connect it to the air box because its blowing by and getting into the fuel system any ideas? the oil is coming from both case breathers that i installed directly on top of the valve cover i have the oil level under the second notch on the clutch cover so **** so its not coming off the rear tensioner at all. so what do you guys suggest should i put a hose on it then mount and raise them. 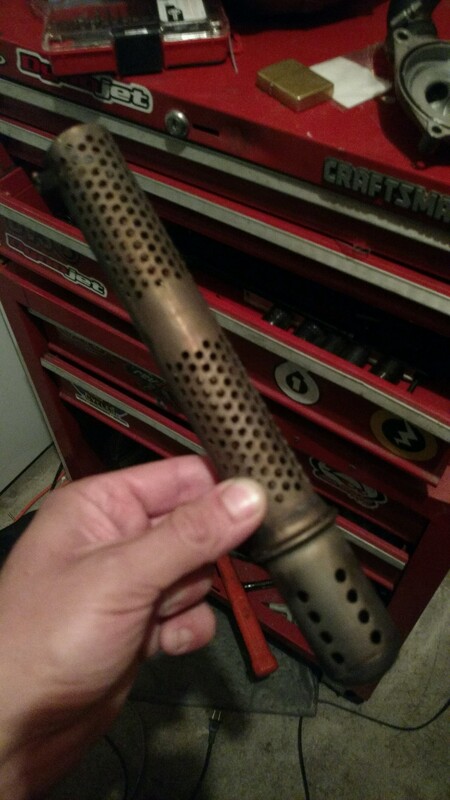 or should i go with an oil catch can i wouldnt think this problem would be from removing the reed flap or am i wrong about that???? Run em to the airbox as standard. i was thinking that myself. when i bought the bike it started to smoke after a hard run of about 100miles. i opened up the air box to find that there is a table spoon or so of oiled pooled in the box. left side because of the kickstand but i was trying to avoid this. Last edited by smokinjoe73; 07-20-2017 at 07:53 AM. no i did not remove the resonators or packing. i removed the baffles only or db killers whatever term you prefer. loudness has not changed much. the sound signature on the other hand has changed greatly b4 it just sound like a terd. 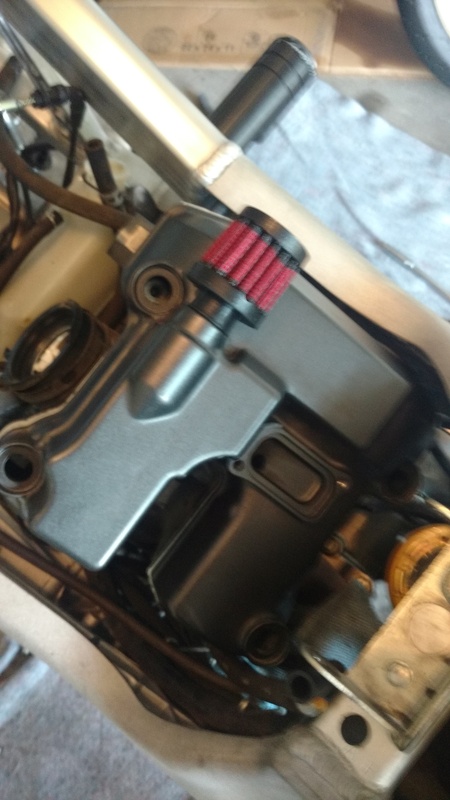 i added a .5 mm shim to the rear needle stock air box and it seems happier im running about 96 octane in it now i know this effects my power curve in a negative way i just do it every once in a while then go back to just pump gas and stiffened up the suspension i am only about 170. So is bare insulation now exposed to exhaust shock waves? Not familiar with stock stuff but if its exposed it will be gone in a week. If you care. they are delkevic slip on long cans they have a baffle that comes in from the front inlet side kinda different. they have packing with what is called a resonator. a resonator is the perferated steel tube which holds basically all after market packings in that in turn is held in by rivets at each end. so now its just a basic after market can. wish i could send pictures of what i mean but i am at work i will post them when i get home.